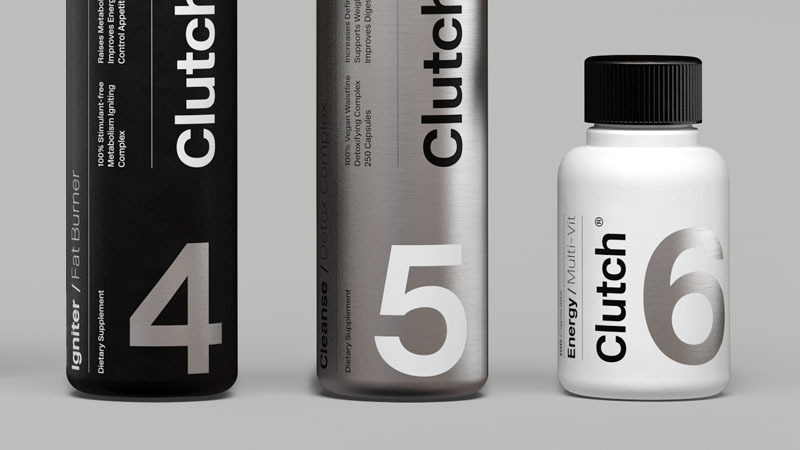 Clutch Bodyshop are an inspirational brand founded in 2005 by elite fitness and nutrition expert Ashley Conrad. 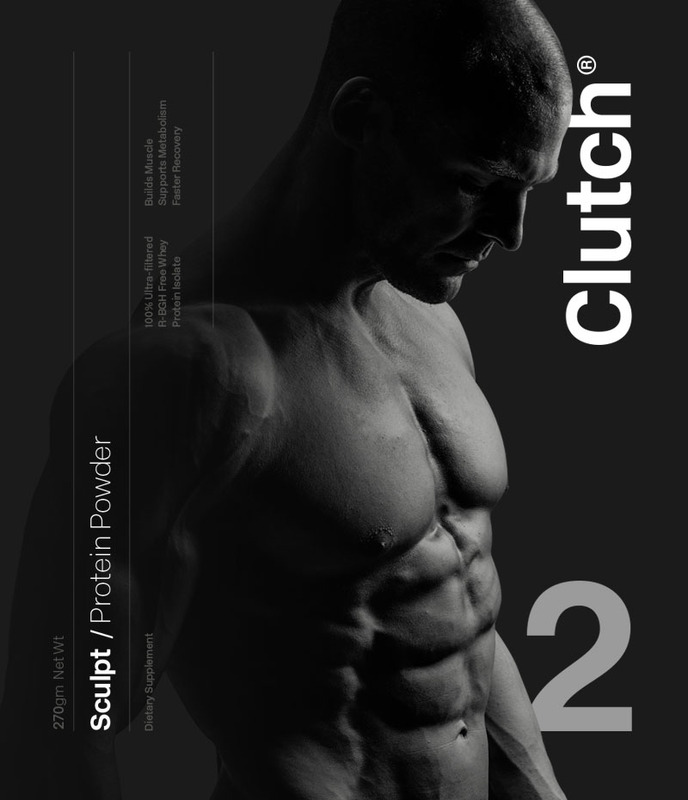 They specialise in fitness and nutrition programs as well as providing a portfolio of supporting supplements. 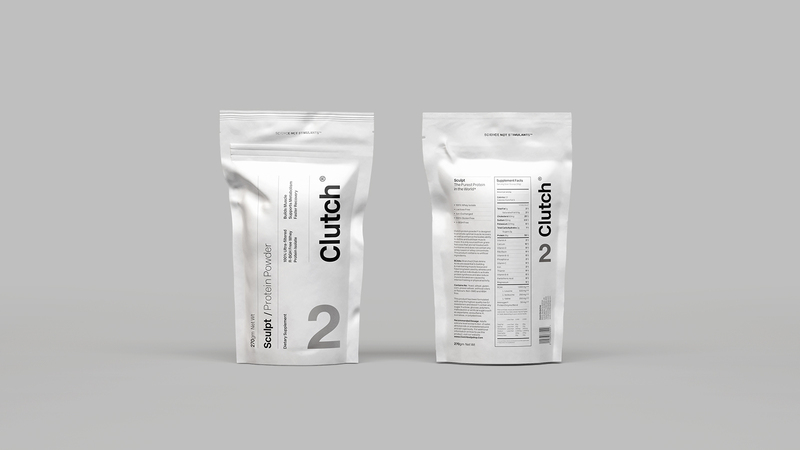 Clutch Bodyshop comissioned Socio alongside their in-house team to contribute some ideas for their new range of supplements. 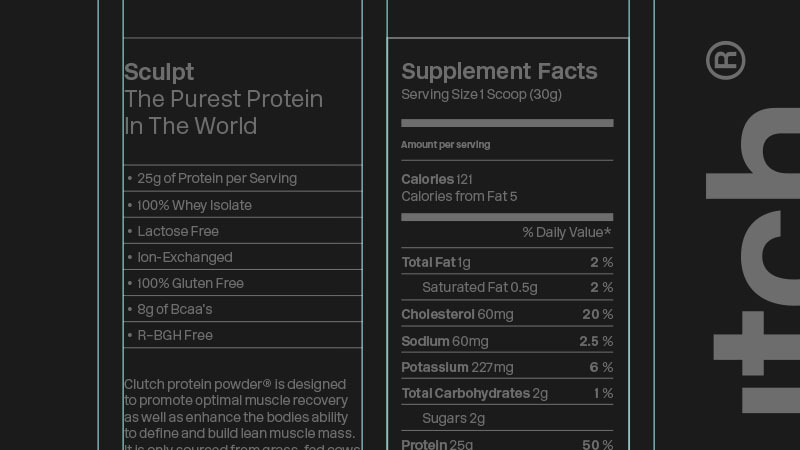 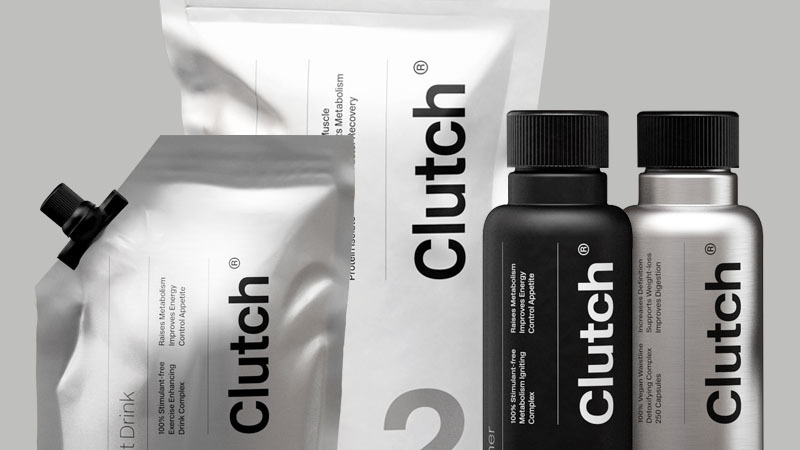 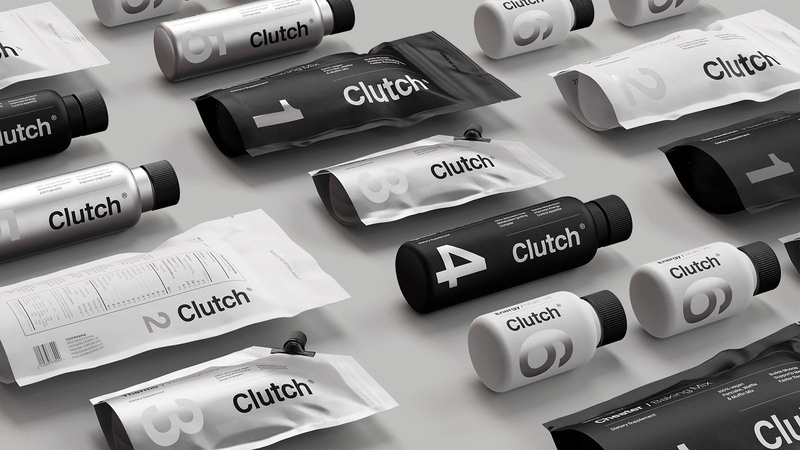 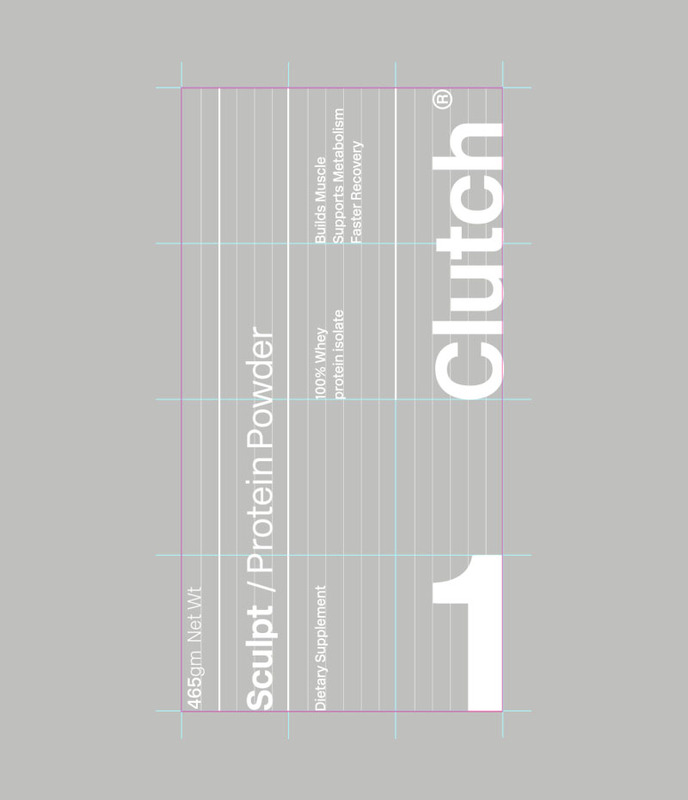 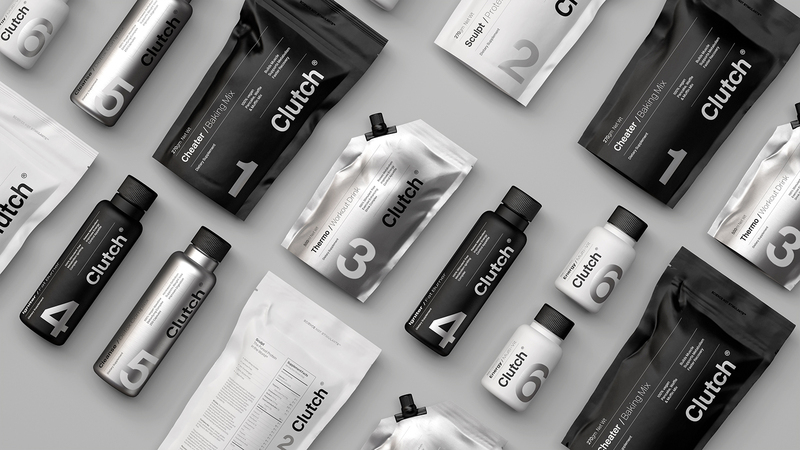 The new packs were designed to reflect the quality and science behind the supplements, positioning Clutch as a premium player in sports nutrition and fitness. 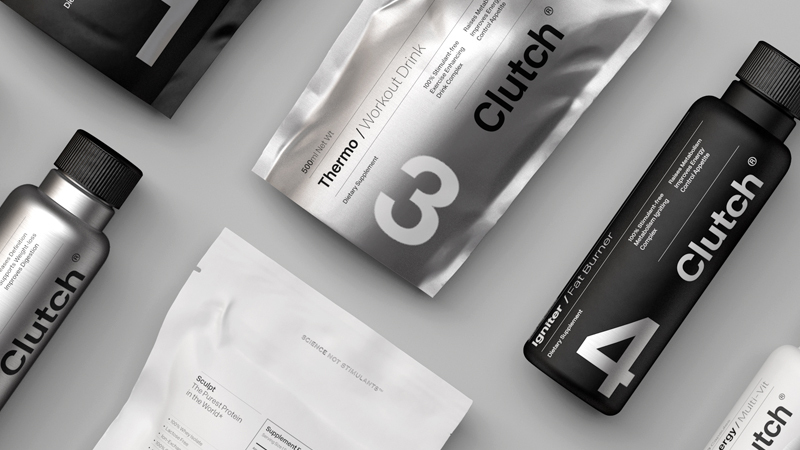 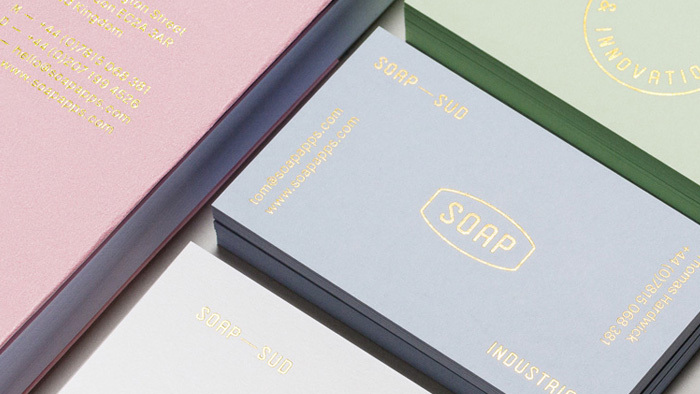 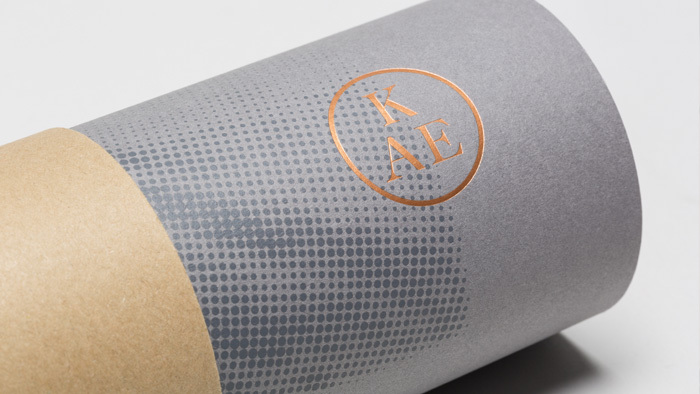 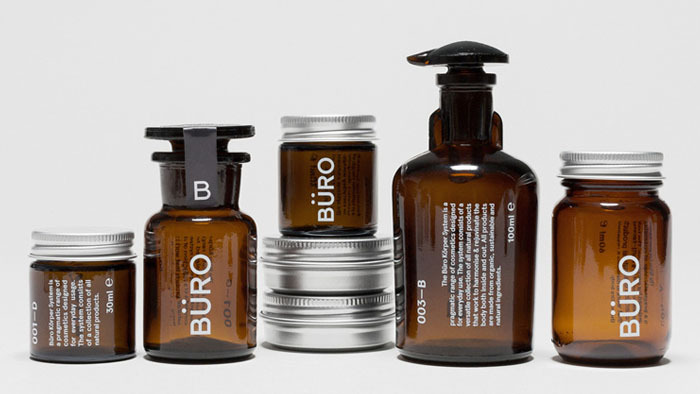 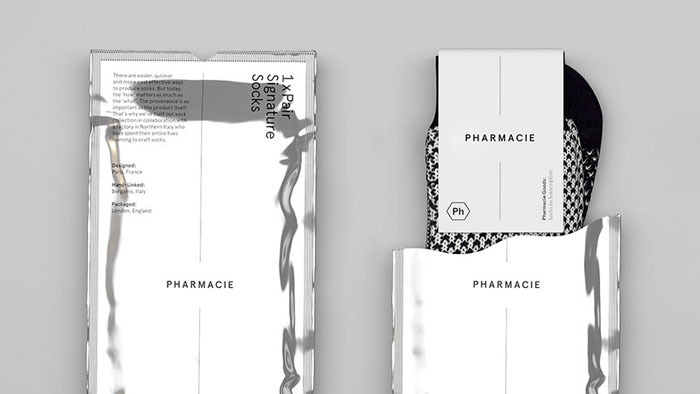 The final design combined a minimal typographic aesthetic and simplistic colour palette to create a distinctive pack design that communicated the purity of ingredients within the range. 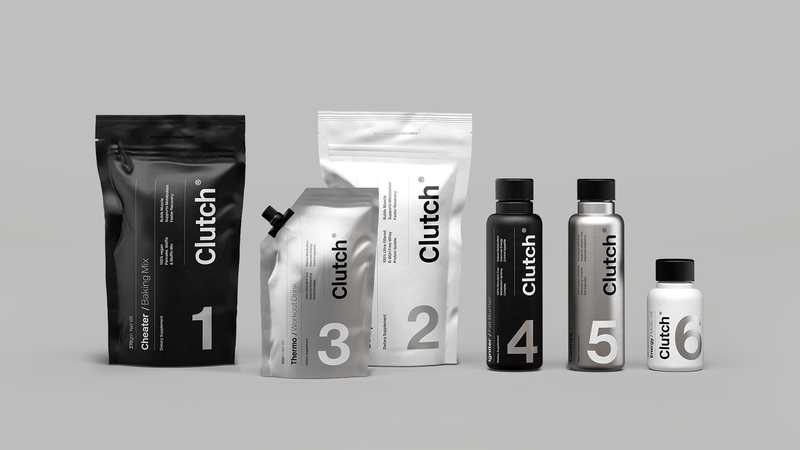 Unfortunately our concepts were not taken forward into production.